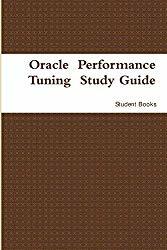 This book provides an introduction to performance tuning. Tuning is driven by identifying the most significant bottleneck and making the appropriate changes to reduce or eliminate the effect of that bottleneck. Usually, tuning is performed reactively, either while the system is preproduction or after it is live. The most effective way to tune is to have an established performance baseline that can be used for comparison if a performance issue arises. Most database administrators (DBAs) know their system well and can easily identify peak usage periods.